Amino Communications Ltd are specialists in products and technology for IPTV, Internet TV and in-home multimedia distribution. Amino products provide telecom, broadcast and hospitality firms with a 'front door' to IPTV: a range of software and set-top box systems that can be tailored to offer highly scalable and targeted systems. The award-winning AmiNET range is used by leading service operators in over 80 countries. Working initially as an in-house designer responsible for all the company's product output and subsequently as a consultant to the Hardware team, JWD Ltd has designed many products within Amino's product portfolio including the award winning AmiNET series of IPTV set-top boxes, with over 3 million units shipped to date. 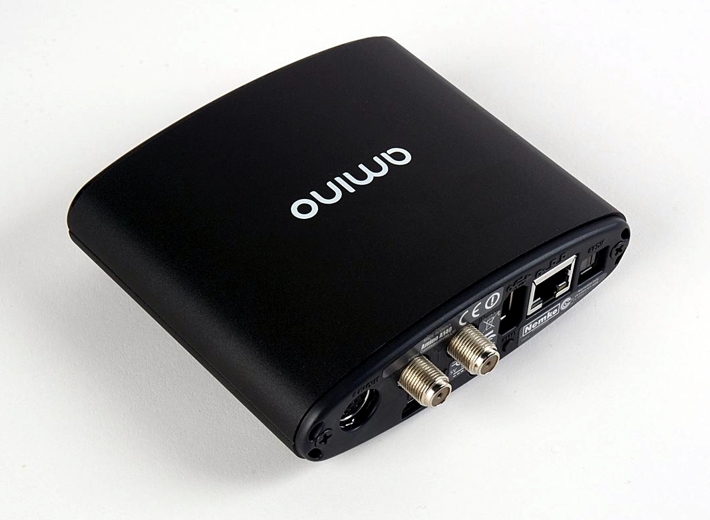 To accelerate the deployment of IPTV and video on demand services Amino Communications Ltd (Amino) required a low cost Set-Top Box (STB) reference design that would provide a common starting point for a range of products which may have different network interfaces, user interfaces or service delivery mechanisms. The new design should be capable of high volume manufacture and should appeal to a world-wide marketplace using an eye catching enclosure allowing for the correct insertion of a smart card, adequate measures for heat dissipation, EMC and FCC approval. Amino generated a PCB profile establishing the physical constraints of the enclosure. The essence of this design was the miniaturisation of existing technology using a revolutionary ASIC which provided a means to move away from the manufacturing legacy of the 'established' method of set-top box production (steel chassis and injection moulded plastic front panel etc). Following exhaustive research on market trends, manufacturing processes and contemporary product designs the decision was taken to adopt an extruded aluminium enclosure with the open ends capped with inexpensive injection moulded parts. In addition to aluminium's recyclability, excellent heat dissipation capability and aesthetic appeal it has the benefit of very low start-up and tooling costs. 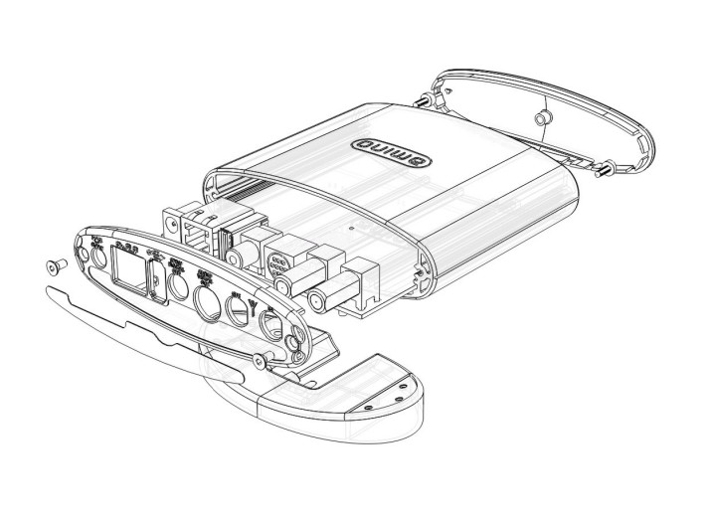 In addition, using an aluminium extrusion considerably reduced the parts list of the final device as all internal fixing points and smart card guide features were provided as part of the extrusion. This material would also enhance consumer reaction by conveying a sense of integrity, longevity and quality in the AmiNET series. It was hoped that this would provide appeal to a variety of markets across the world, all of which have very specific tastes and nuances, by retaining a strong sense of design integrity. 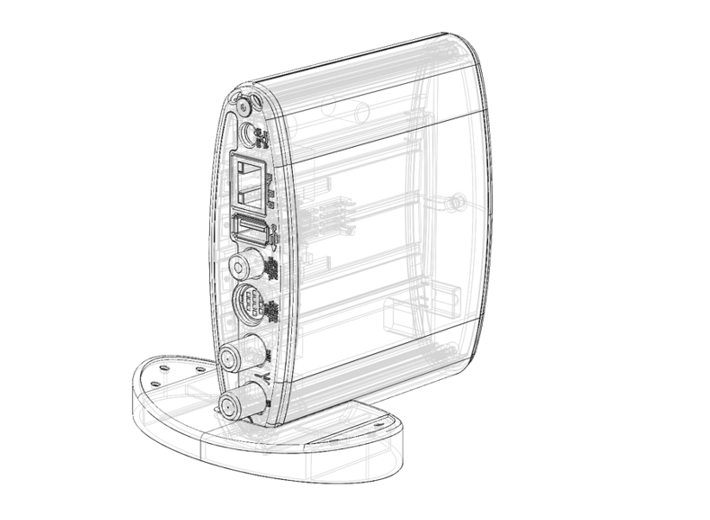 In order to gauge customer reaction a number of 3D CAD renderings and working prototypes of the STB reference design were produced and issued to service providers for evaluation and test. This gave Amino a number of very convincing early demonstration models which were shown successfully to clients and at exhibitions all over the world. The design had been created, proposed and detailed in less than 3 months from start to finish. The early trials of the STB design were extremely positive. For example, one senior director of a company evaluating the product took the prototype home to show his family and proudly stated the next day that "This product has WAF! Wife Approval Factor!" Initial market response was very positive and the product quickly went into mass manufacture using partners based in the Far East. Having conducted a series of exhaustive studies of mould tool design, heat loss performance, stress analysis and manufacturing tolerance the product went into full-scale manufacture within 4 months of initial launch. "Good Design" award for 2008 from the world-renowned Chicago Athenaeum Museum. 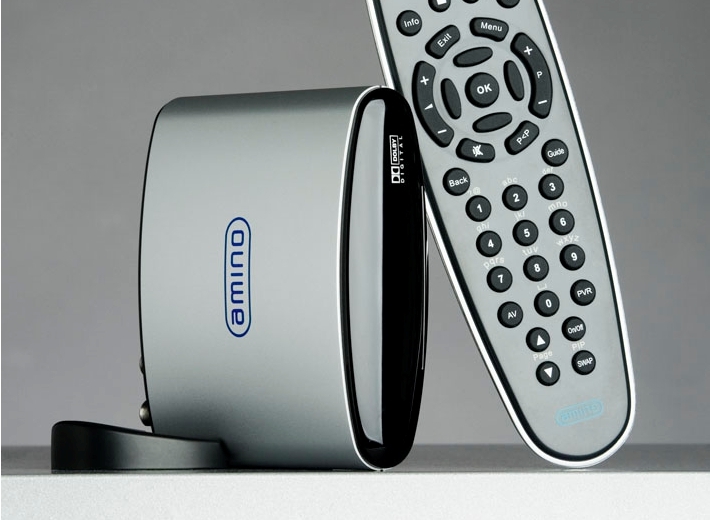 Amino's "iPod of Set Tops" wins prestigious global “Good Design" Award for it's sleek and stylish AmiNET130M Set-Top Box (STB). It is the only UK company to receive the accolade in the electronics product design section. Best Customer Premise Equipment and Best in Show - Telco 2008 TV Vision Awards The Telco TV Vision award for Best Customer Premise Equipment was awarded to the AmiNET130M Set Top Box (STB). In addition the same product won the Best in Show accolade where it was considered to be the most innovative and would further the deployment and performance of IPTV solutions. 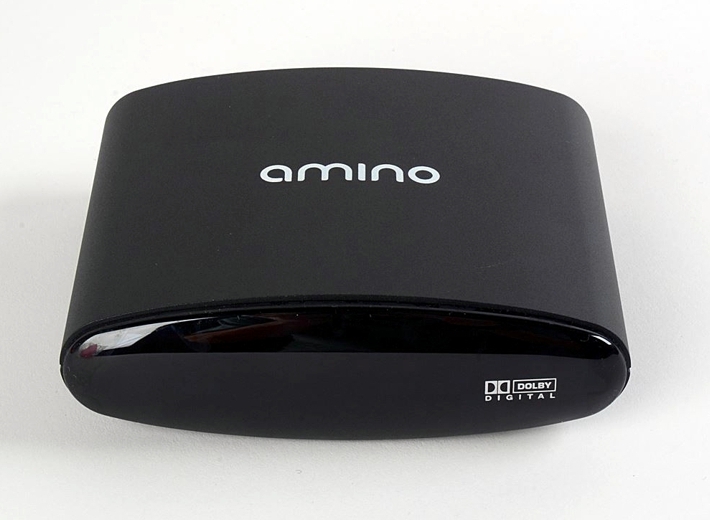 Amino Communications named as the top vendor of pure IPTV Set-Top Boxes (STBs) worldwide by ABI Research for the third consecutive year (2008). CSI Product of the Year Award (2007) in the category "Best IPTV technology", ahead of the Microsoft® Xbox360® solution for IPTV, and Packetvision®'s IPYV Addressable Advertising Service. This is the third international accolade given to Amino's multi-codec range of STBs in the last 2 years.